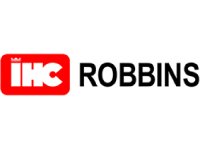 IHC Robbins originated in 2015 through the combination of the Robbins Technology Group (previously RJ Robbins & Associates) with the Mining arm of Royal IHC. The international strength of IHC underpins the delivery of fixed cost turnkey mining and mineral processing plant. Options are also available for customer finance solutions across the equipment and products portfolio of the company.